Career & Business What is a demat account and how to open it? If you are thinking of investing in the share market then you should know what is DEMAT ACCOUNT. A demat account is a special type of account which is held by the businessman in the share market. 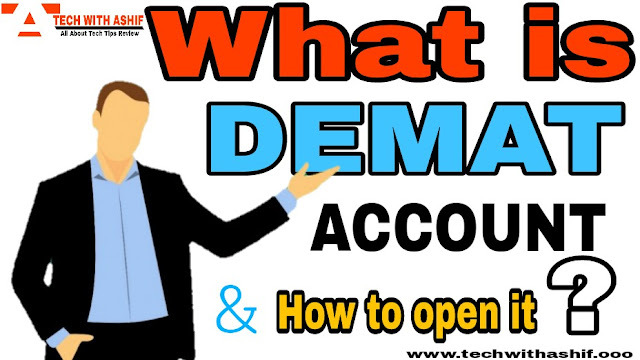 In this Article, we will know what a demat is account and how to open these accounts? The demat account is an account similar to that of a savings bank account, as we keep money in our bank account, we have shares in the demat account. Our shares live in digital format in the demat account. You can make a purchase and sale of shares easily through a demat account. It does not require any kind of paperwork. ● Also Read: What is Mutual Fund?|Can money be earned from this? To open a demat account, you must have a PAN card and a bank account. You can open your Demat Account by going to any depository participant (DP) like - KARVY, KOTAK SECURITES, ANGELBROKING, ZERODHA etc., registerd in nsdl or cdsl. You can open your account even if you sit at home and go to the DP site. In order to open a demat account, you have to pay some fees which may vary. ● Also Read: What is Nifty? ● Also Read : What is Sensex? Which documents are required to open a demat account? Proof of Identity - Driving License, Pan card, Aadhar-Card, Voter ID Card. Proof of Address - Voter ID Card, Adhar-Card, Driving License, Electricity Bill, Telephone Bill. Pan Card, Aadhar Card and Bank Statement are mandatory. For more information on the demat account, you can contact your nearest depository participant (DP). You must give your suggestion in the comment box. What is EMV Chip Debit Card? What is SPEED POST and how to track it ? What is Paytm BHIM UPI and how to use it?